Used by locomotive managers to determine the characteristics of power required for each train. Reservations for resources for locomotives and End-of-Train devices consumed by trains in the Network Train Plan. 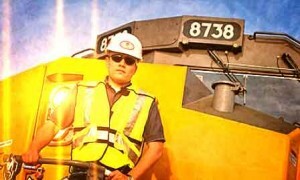 Determine motive power supply and demand on a network and terminal basis for EOT devices, demand being defined as the number of locomotives necessary to run all the trains leaving that terminal and supply being all the locomotives that are at or detained to the terminal subject to your business rules.